This course begins Friday night, go all day Saturday with a night component and then wraps up by 4pm on Sunday. 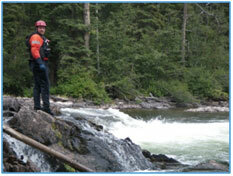 Rescue Canada will be providing instruction and participants should have prior swiftwater training and experience. The course will be pretty rescue-agency specific.